as i verse words/ scribe notes/ vibe off daily living in creative blogs. the bleeding in every community. take as many in the dash . STOP DA VIOLENCE , KILL DA SHOOTING!!! intent, I moved from streets of destruction into the valley cross the cities in states. beyond the madness of inner minds to see outside the box, American drama is alive! but a nation while crossing pathways lives lost yet a new life member was born. sorrow only half truth yet still not televised . every note to bring peace against guns , brothers vs brothers sister and mothers. pitty the anger of history instead of gracing the value of historical moments. made and today the mission is to clean it up. I fight" I fight the cause. Day to day struggles and triumphs are experienced by all of the world's creatures. Every decision that we make leads us down a different road. We will never come to exactly the same crossroads. Every decision the we make has significance. The tiniest choice that we make reverberates throughout the entire universe. by saying that we can , yes we can move mountians , stumbling blocks. we lost way from the motherland our ancestors, forefathers and our meanings. up on the tale of fiction, there's nothing strong about thuggish life. empower themselves under false notions, when life is an open window. root of simple sense in life. very own troops trained to be as thuggish. gang who become the structure of many followers. beast ramshacked on illusional humanity. it all leave a taste you're never forget and that's to kill or be killed. the struggle of life itself. there higher love , guns become there child to embrace . we are not dramatize or assassin to deed but people of life's big creed. and stop the spread that thug life has passed. to it's belief and terrorist of destruction and assassin. dunwiddat, chuck and Enejoh like this. Courage does not always roar. Sometimes courage is the quiet voice at the end of the day saying; “I will try again tomorrow.” Follow your dreams. They know the way. Here I am of this world to wreak an earthly havoc against the disaster made upon my people, while my transent transform your death into a life,"Breathe"a rebirth of new generation has come that will not stop until destruction dances in reverse against the (oppressor) where we may sing in glory a beautiful show, my fight shall not end until corruption dissolves and the earth made aglow it is then that my heart will smile as we join hands under a union as we unify a structure, this foundation will not crack/break nor sink because the gift of the mind that's free has wisdomize it's solution for the evil pollution that has many of my worldly brotherens and sisteras in submissional illusion. often the mind is left wondering there form it never sleeps. but that don't matter now ! that say go home . Home where is home when i was born here is Africa my place! struggle upon the hardship and poverty against the families of black people. Let me share this awakening call and what i found ! 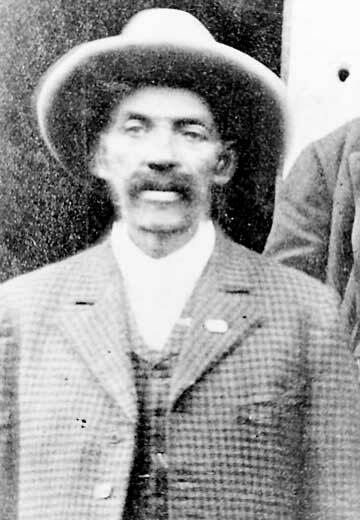 who change his name to Bass Reeves , Bass Reeves was one of the first black lawmen west of the Mississippi River. As one of the most respected lawmen working in Indian Territory, he achieved legendary status for the number of criminals he captured. This man was a warrior of good vs evil and gave me signs to walk the path laid for unsong black men in a war today so divided / corrupted and unlawfully, as my story goes from the bark root of thy forefather and what stood as greatness (I in hope to now take my place in the circle of life) one that might not allow me to see the end or reach the full bloom of us in unity, but my spirit and memory will be there inside my story yet written. Enejoh and chuck like this. of racism to the poverty and struggle of black people even mother Africa ! Our Blackmindz are as free to speak , learn and rise above our sinners who kiil any thought we may present in life . The tyme for change is now within us as a people . we now face the poorest of jobs / lowest of school learning time we empower our mindz but first we mush see self as oneself in the mirror and defind who one is and what movement self in, Life has toss a myth upon us and broke any chance of common bonding a unity or to unite. This story blog change face every time a soul change it's true rights and step away from it's rightful place in this none liberty not so free land. we have forgotten about our women the greatest treasure of life as we replaced it with hurtful/harmful and deadly tongues like a poison ship sailing. the fight is bigger then me now it a us war ! Wisdom & knowledge and unity is the best weapon we can pose in this battle , we must rise to the facts and task as blackmindz. ALL EYEZ ON ME ! victory ! and open da mystery . style base, the ~V~ of expression is now takening da poetic world by storm. forward and then backwards there are four twist in the maze . work to bring out the masterpiece of expression . and give a relaxation of comfort to the mind and soul of feelings of love and peace. flying ~v~ and sister to the Japanese art form . creation poeticly , every poet should try to master this style of expression. Enjoy the new wave creation . how i see us collectively and the deadly deed of the street corners. stupidity / foolishness and games that's not related to work. before i can enter my home i face another delima of Bills rolling in like a bad habit. There are Issues of right and wrong / who live and die who is played and who playing. I fight the dreams that seem so far off and unreal beyond feelings. these daily issues continues to wrap around the mind one after another. Gas up Up Up way up to where you need to carpool / ride a bike or just walk. are there any relief in stored . what price do a black man pay to see freedom / relief. Enki and (deleted member) like this. as she move me , my my my !! revisit da image before me , to learn who i am . and upper orders, but this one is of my hands ! used to manifest it's own written glory beyond fame. and the beauty of an rainbow spooling to my right. in hope just as mosses did unto da red sea. and thy happiness of faces beholding my journey here. there will be beauty at the foundation of a rebuilded nation. forsaken or in anyway tarnish this house , well now community ! thank you for showing me how/the way and the opportunity ! A PLACE IN MY HEART belongs to our Destee forever this i will carry with me. how can one ever leave ? ground for a better tomorrow. so we can hub together and share. hours / pain along the journey road. she had it for you , willing to take a chance yet unsure. for others to enjoy the sweetest setting cyberly you help is needed too. Let me say as i speak not just for me but the communityWe Love you and Thank you . share in my blog if you will when Destee comes to mind. BECOME A PREMIUM MEMBER TODAY!! A Question asked mindfully and often answered yes ! From da blue skies or good heavens was born a pure delight in the form of a sister worrior Queen Lola.